In the previous episode, a quirky nomination task has been started and no doubt, the jodis are being tested in this one. We saw Anup Jalota and Jasleen Matharu got nominated as they lost the task. Undoubtedly, Anup Jalota was disappointed with Jasleen by the way she performed the task. He made a shocking decision on Day 16. Deepika played the kidnapper and she kept Anup Jalota as the hostage. She demanded Jasleen Matharu to cut her hair to the shoulder length and to destroy all of her clothes and makeup. Jasleen was eventually thrown to a dilemma as she could not decide what to do. The rest of the contestants tried to help her out in this one but she had to make a choice. And, she refused to destroy her clothes and eventually lost the task. Hence, Anup and Jasleen have been nominated for this week. In the recent promos, we saw Anup Jalota verbalizing his disappointment towards Jasleen and the latter could not utter a thing. Anup said that it was the point where the bonds are being tested and Jasleen failed in the test. He further said that if he was asked to destroy his clothes for Jasleen, he would not think twice about that. 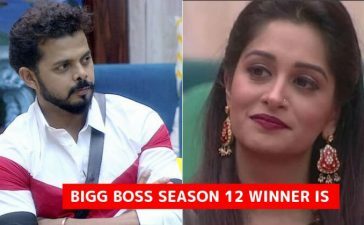 He ended up saying that he is calling off his bonds with Jasleen and they are no longer a Jodi. Jasleen was shocked to hear all this from Anup. She was seen discussing the matter with Anup and the latter said that his decision is unchangeable. Jasleen broke out in tears and the rest of the contestants came to provide the emotional aid. It is still hard to tell if Anup has called off his relationship with Jasleen. The only way to find out is to wait for tonight’s episode. What do you say? Tell us in the comments.